Gilbane’s highly collaborative delivery approach leads the way for the Kendall Square state-of-the-art life sciences complex in Cambridge, MA. This large scale high-tech laboratory project in two buildings is seeking LEED Silver certification and will also include a below-grade parking structure. Executed through a highly collaborative delivery approach, the project is utilizing a 100 percent virtual design and construction platform. Furthermore, Gilbane has lead the co-location process which includes the complete design team, along with mechanical, electrical, plumbing, fire sprinkler, structural steel, and exterior skin trade contractors. 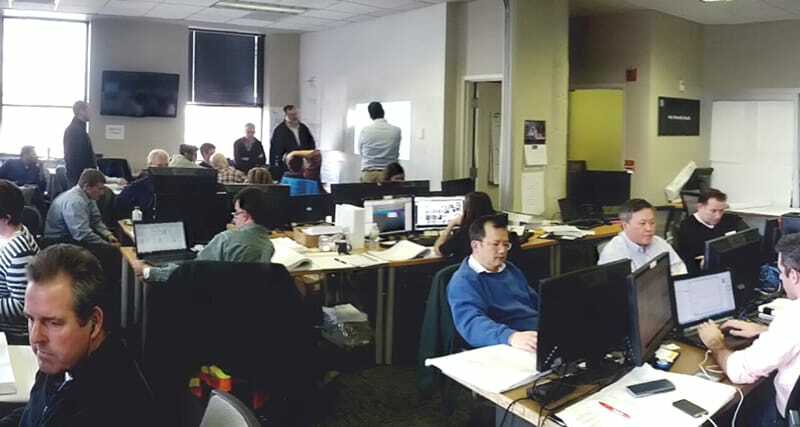 During peak project demand, 15-20 individuals leverage daily work planning and real time model-based collaboration to enhance the project delivery. 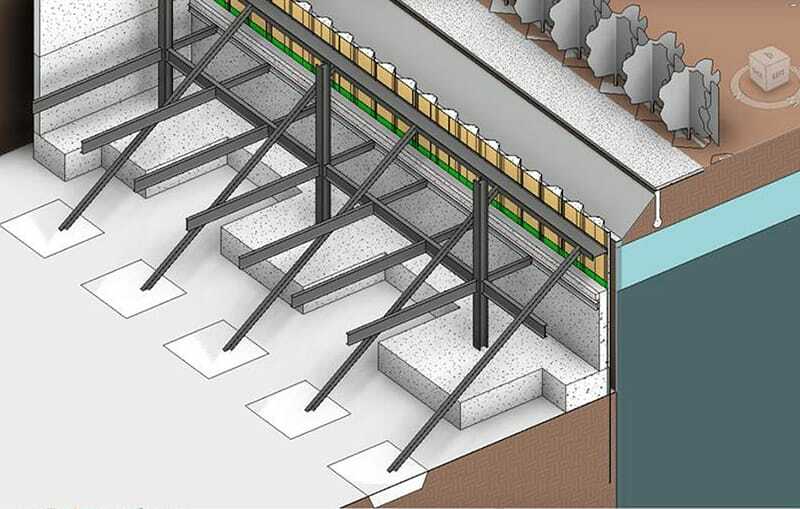 A vital component of the BIM services includes underground and temporary construction coordination. Situated on a tight, urban site, the project location poses unique challenges. With contaminated soil conditions, a high water table, as well as buried storage tanks and abandoned foundations, mass excavation was a project in itself. Realizing that the vast majority of design information was only available in 2D format, Gilbane began with modeling all underground systems, temporary construction, dewatering wells, construction clearance and safety zones, and even the tower crane foundation and swing radius. As a result, this process has allowed the entire team to make smart and timely decisions to maintain the project budget. Through four months of preconstruction, a dramatic project schedule acceleration was realized with 1,160 man-hours saved. This was the result of time savings from co-location, use of prefabricated beam penetrations, and underground modeling.